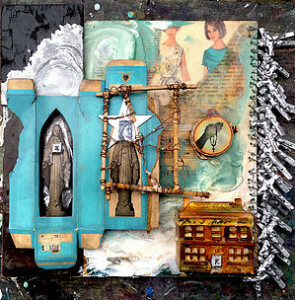 Composition, planning and implementation will be explored by utilizing various techniques of paper collage, layering, precious found object combinations, and depth building with clear and pigmented beeswax. Together we will explore developing your personal artistic vision by combining papers and precious items and layering them with meaning. Find the story in your unique collage journey. Discover deeper perspectives and new ways of evolving your collage mixed media pieces.